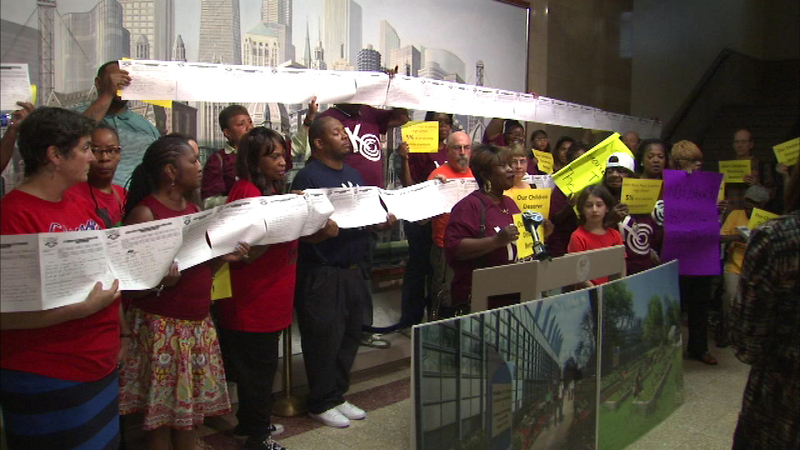 CHICAGO (WLS) -- Parents and clergy members rallied outside of Mayor Rahm Emanuel's office at City Hall Tuesday morning to try to save Bronzeville's Dyett High School. The group wants Dyett to remain open as Chicago Public School, rather than be converted to a charter or contract school. The school shut down in June due to low enrollment. The mayor was not in his office during the protest. The Board of Education says they continue to review the options and hope to make a decision in August.